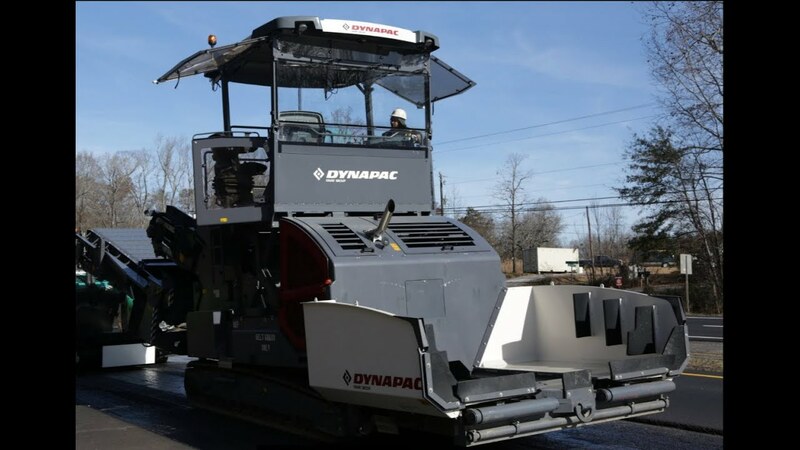 The Dynapac MF2500CS material-transfer-vehicle (MTV) product family includes two new models, the MF2500CS and MF2500CS with SwingApp, that are designed to handle a variety of materials, including asphalt, concrete, sand, and base—and have capacities of up to 4,000 tons per hour. The MF2500CS models use a Cummins QSB 6.7-C220 engine, providing operating speeds in excess of 80 feet per minute and a transport speed of approximately 2.5 mph. The MF2500CS features a conveyor-belt system that can empty a standard 35-ton truckload in as little as 35 seconds, says Dynapac. The belt, fully supported by slat bars and mechanical fasteners, features patented mechanical connections for enhanced serviceability. The unit has a transport width of 8 feet 4 inches, and the maximum transport mass is 22 tons. The MF2500CS is also available in the SwingApp configuration, which transforms the unit to an offset feeder by swinging the conveyor belt up to 55 degrees in either direction, allowing the capability to handle a variety of feeding applications, including feeding two pavers in a side-by-side configuration, feeding one paver from a different lane, or filling medians. SwingApp can be mounted on any MF2500CS unit, typically in less than an hour, says Dynapac. Ergonomic features integrated into the new MF2500CS include Dynapac’s Clearview platform that can raise the operator station 3 feet with the touch of a button, enhancing visibility. The operator platform on each side of the feeder also allows for swing-out functionality, says the company, and can pivot 90 degrees for maximum visibility. The new models are fully automated through the integration of distance-control and feeding sensors, and the multifunction joystick integrates main drive and SwingApp functions. A large LCD monitor delivers all necessary procedural and diagnostic information, along with camera feeds. Below is the company's promotional video.